Gold Card Buyers access show floor at 9:30 a.m. on all days. This southern market was established in 1952 and has grown to be recognized as one of the largest shows of its kind. This show attracts 13,000 buyers and has 400 booths. 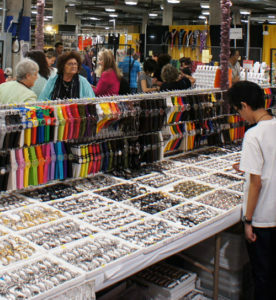 The New Orleans Gift and Jewelry Show, January 24-27, 2019, is held at the New Orleans Ernest N. Morial Convention Center, 900 Convention Center Blvd., Hall J, New Orleans, Louisiana. Open to the public Saturday and Sunday! We’re opening our show floor to the General Public on the last two days of the show — Saturday and Sunday, January 26 & 27. » 16 years and up, $15 per person per show day. On PUBLIC DAYS only, must be 12 years or older to access show on Saturday and Sunday. We're offering some show site savings at the Gift and Jewelry Show in New Orleans. If you're a Gold Card or Non-Gold Card registered buyer, you will be able to purchase a Guest Badge, and get one free. This incredible deal is only available at the show, so make plans to bring a guest today! 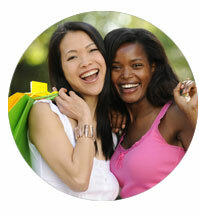 Was your New Year's resolution to save money and have fun? Let Helen Brett help you with that! Join us January 26-27 and buy one $15 (cash only) admission and get one free. This incredible deal is only available at the show, so start making plans today. Cannot be combined with any other promotional discounts. As a special thank you to our military and first responders (ID required), we invite you and your family (12 years and older) to spend Sunday, January 27, from 10 a.m. to 4 p.m. with us. *ID holders only (see registration for details). Guests must be 12 years or older to access show floor. Proof of age is required. All minors under the age of 16 must be accompanied by an adult and infants must be in carrying pack. No wheeled carts of any kind or strollers will be permitted on the show floor. Wheelchairs, walkers and mobility scooters are permitted. Helen Brett Enterprises reserves the right to deny entrance. 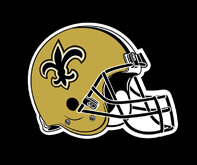 On Sunday, if you wear any of your New Orleans Saints Gear, you’ll get a raffle ticket to be entered into our Big Bucks Drawing. So proudly wear your Gold and Black and support your team! Helen Brett Enterprises has been part of New Orleans for more than 70 years. Through that time, we’ve stood by our friends through good times and bad; championships and hurricanes. The recent Federal Government shutdown has once again pulled at our heartstrings. 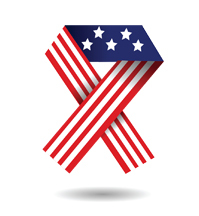 Our dedicated friends of TSA, the air traffic controllers and the US Customs and Border Protection personnel and the Coast Guard are vital to your city’s economy. 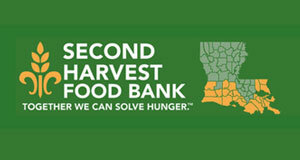 We’ve partnered with the Second Harvest Food Bank to create a drive for our hardworking friends who continue to report for work with no income. We’re all family. Please join us in supporting these Federal Employees by bringing non-perishable food and household items to the New Orleans Gift and Jewelry Show all four days of the event. Feel free to drop off non-perishable items in our lobby station like canned meat, cereal, shelf-stable milk, oils, canned fruits and vegetables, peanut butter and coffee. We will also accept diapers, toiletries and cleaning products. A complete list is posted below. Must be 16 years or older to access the show floor on Thursday and Friday. Must be 12 years or older to access show floor on Saturday and Sunday. All minors under the age of 16 must be accompanied by an adult and infants must be in carrying pack. No wheeled carts of any kind, or strollers will be allowed on the show floor. Wheelchairs, walkers, and mobility scooters are permitted. The photography of any exhibit is expressly prohibited without the written consent of the exhibitor. Helen Brett Enterprises has the right to deny entrance. This rate is available through January 4, 2019. To receive this rate, make reservations online or please call 800-292-0653 or contact the hotel at 504-566-9990. Be sure to mention group code HBJ. To receive this rate, make reservations online or please call 800-858-1319 or contact the hotel at 504-571-1818. Be sure to mention group code Helen Brett Room Block. This rate is available through January 10, 2019. To receive this rate, make reservations online please contact the hotel at 504-525-0044 or 800-445-8667. Be sure to mention group code HB1.